With six to eight inches of snow in the forecast (it ended up being nine), I harvested the remaining broccoli, cauliflower, and celery. And with temperatures set to plummet, my thoughts turned to comfort food. End of season broccoli and cauliflower can be bitter, but creamy, cheesy rice is the perfect foil. 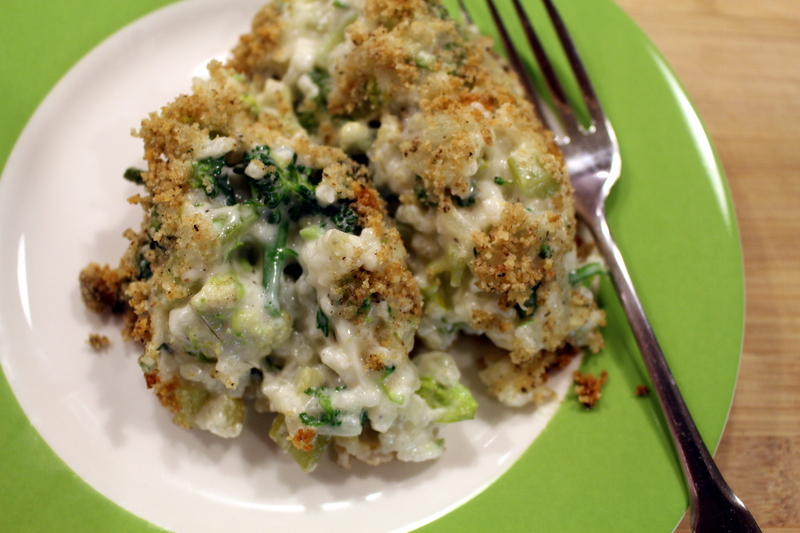 My version of vegetable rice casserole doesn’t use canned cream o’ soup, like so many out there. Instead, I make homemade cream of celery soup that I combine with cooked rice, cheddar and cream cheese, and blanched broccoli and cauliflower florets. I top the whole thing with my husband’s signature bread crumb topping. 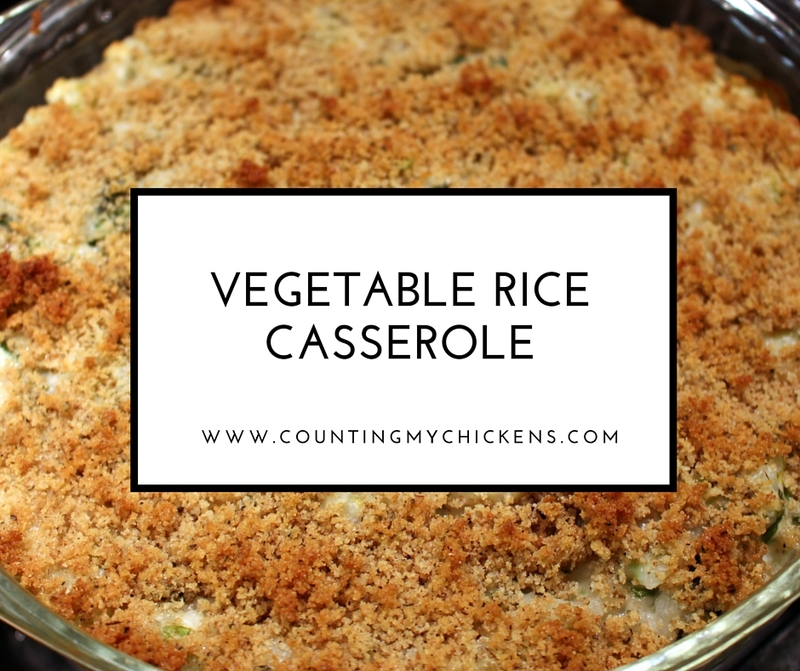 Vegetable rice casserole makes a great Thanksgiving side dish. It also could serve as a meatless main dish with a green salad on the side. To save time, use whatever leftover rice you have on hand. White basmati rice is a good standard choice, but brown rice would work just as well in this recipe. I have a thing about yellow cheese. Seriously, I don’t like it. (It just seems so fake to me, especially that pre-grated stuff that comes in bags.) So I use white cheddar that I grate myself. But yellow cheddar cheese can be substituted, if you don’t share my yellow cheese hang-up. Herbes de Provence is one of my favorite seasoning blends. Its delicate, floral flavor and earthy undertones provide a nice balance to the dish. If you don’t have any on hand, don’t worry. You can leave it out or substitute some dried thyme, rosemary, or marjoram if you like. The recipe serves about eight as a side dish. 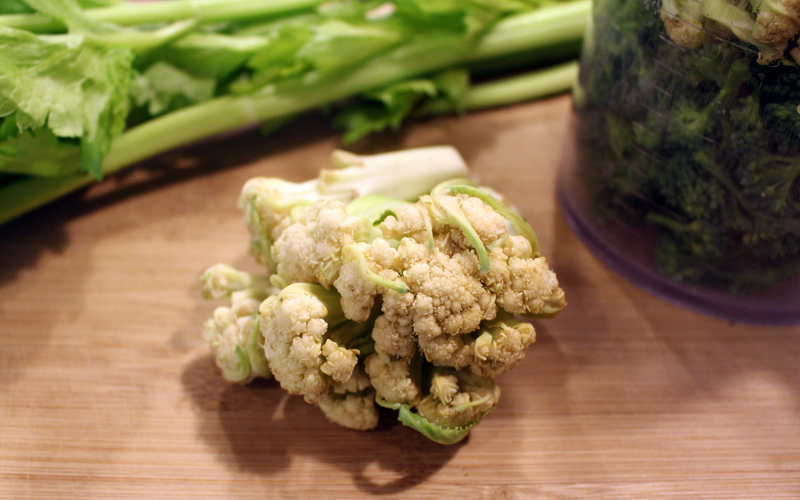 Cut or break broccoli and cauliflower florets into bite-sized pieces. Blanch in boiling salted water for two minutes. Remove from boiling water and immediately plunge into an ice water bath to stop the cooking process. Leave vegetables in the ice water bath for no more than two minutes, drain, and set aside. Melt 3 tablespoons butter in large, deep-sided skillet over medium-low heat. Add onion and celery and cook until celery is soft and onion is translucent, about 8-10 minutes, stirring frequently. Stir in flour and Herbes de Provence, and cook and stir for another two minutes. Gradually add milk, stirring constantly. Continue stirring over medium heat until the sauce is thick and bubbly, about five minutes. Remove from the heat and stir in cream cheese and grated cheddar, stirring until cheese is melted. Add salt and pepper to taste. Stir the rice and blanched vegetables into the cheese sauce, and transfer to a buttered two-quart glass casserole dish. Melt the remaining 2 tablespoons of butter in a small skillet. Add the bread crumbs and thyme and cook and stir over medium heat until the bread crumbs start to color. Remove from heat and stir in salt and pepper. Top the vegetable and rice mixture with the bread crumb topping. Bake 35 minutes until bubbly and browned. This entry was posted in Cooking with Garden Produce and tagged home cooking, recipe, vegetable rice casserole by Deborah Neyens. Bookmark the permalink.